Peter Johnson is an active board member for CWA and has been carving for almost 4 years now. 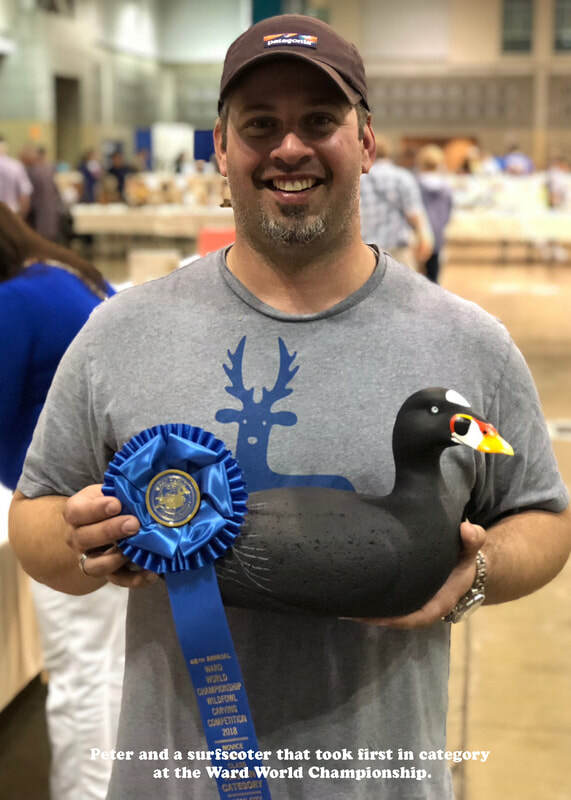 Starting out creating all hand crafted decoys primarily to hunt over, he decided to try his luck in decoy carving competitions. In this short time, he has been awarded numerous ribbons, Best of Show honors and People’s choice awards! His proudest achievement is a Best of Show for a cocktail (3.5”) cormorant at the Ward World Championship. Using top quality Tupelo wood and acrylic and oil paint he makes his decoys come alive. Peter mostly carves contemporary and hunting decoys. He has donated birds to CWA and other organizations such as DU and Delta. For decoy availability and commissions Peter can be reached at pezteq84@aol.com or 203-260-4743.